The first time I heard about The 5th Wave was when I was in Japan. I was watching booktube and one of the booktubers (or sevelar) mentioned this book and how great it was. Unfortunately I couldn't buy it there because it's really hard to find new books in English in Japan. So I basically forgot about it till I got back home in Finland. Couple days ago I was at my biggest local library for the first time after I came back to Finland. I had visited the smaller one that is closer to my home couple times already but it took me a month to get to the bigger library. I am glad that I finally got to go there because I borrowed at least seven or eight books. 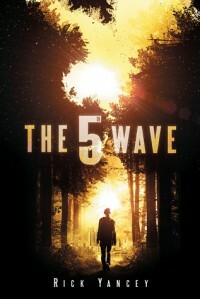 The 5th Wave was one of them which i found out had been translated to Finnish. I have my prejudices about books translated to Finnish but I'll talk about that some other day. But am I glad that I borrowed this book! It's so good, even thought it's translated! 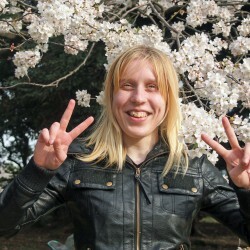 I think the translator, Ulla Selkälä, did really great job at translating this book because the language is so flowing and you can see that she has spent some time in translating the book. The 5th Wave is a dystopian, young adult novel. The aliens came to the Earth and 7 billion humans are dead. First they cut off the electricity, then they caused a massive waves to destroy the cities. The third wave was a bloody plague which killed painfully and the 4th wave were the silencers. Cassie survived all of the waves and now she waits for the 5th wave as she tries to survive alone and find her little brother who was taken by the soldiers before the same soldiers killed her father. Zombie has lost all of his family and is now trained to be a soldier, to fight against the aliens. The story is told from several perspectives. Cassie and Zombie are the main characters in the book clearly but we got glimpse from Cassie's little brother and a silencer. At first we do not know who Zombie and Ethan are, even though it's pretty easy to guess. Ethan is the fabulous looking guy that helps Cassie and they fall in love, even though there is a war going on and you can't really know who you can trust. Zombie finds himself in the middle of the military operations where he is trained to be a soldier to fight the aliens. But is everything as it seems? When you are reading the book, you don't really know who are the bad guys and the good guys. As Cassie says, aliens made it that way that you can't really trust anyone anymore and sometimes Cassie doubts her own humanity. All in all this was a great read, and if you haven't read it yet I strongly recommend you do. The next book of the series, The Infinite Sea is coming out this month and I can't wait to read how the story continues.